When it comes to survival foods, there are the staples such as rice and beans and pasta that can be found in almost every bunker. But there’s a whole host of other great survival foods that are often overlooked. 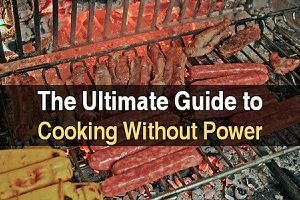 If you’re a prepper, then chances are you already have most of the foods on this list, but I’m posting it on the off chance that you’ll come across a few great survival foods that you simply forgot. For example, I was recently surprised to discover I didn’t have any taco seasoning stockpiled, which is crazy because I love tacos! I thought sure I had some, but apparently I used it all and forgot to replace it. You can bet I fixed that situation immediately. 1. Bouillon Cubes – Bouillon cubes have an indefinite shelf life and are a great way to add either a chicken or beef flavor to the meals that you prepare. If you’re throwing together a stew with whatever you have on hand, I can tell you from personal experience that bouillon cubes make a huge difference. Don’t forget about them. 2. Millet – You may know millet as the main ingredient in birdseed, but millet has also been a staple of mankind’s diet for thousands of years. This affordable, nutritious grain presents a good alternative to wheat and rice. It’s also a great option for people with a gluten sensitivity. 3. Kamut – Kamut is a type of wheat and, like millet, is another alternative grain for you to consider stocking up on. It’s very nutritious, easy to digest, and packed with more energy than regular wheat. 4. Vanilla Extract – If you want to add a little sweet vanilla flavoring to the dishes you prepare post-disaster, we’ve got some good news: Pure vanilla extract has an indefinite shelf life, allowing you to sweeten your foods and drinks long after the grocery stores have closed down. I always have some on hand because I use it when I make pancakes. 5. Coconut Oil – As a general rule, oils don’t last very long. Coconut oil is the exception, though, with a shelf life of 2+ years. As an added bonus, coconut oil is one of the healthiest oils that you can cook with. As any paleo dieter will tell you, it’s far healthier than vegetable oil. Plus, it has many survival uses. 6. Ramen Noodles – Ramen noodles aren’t the best food to sustain yourself with as they’re very high in sodium and generally pretty unhealthy. But if money is tight, they’re a good option as they’re dirt cheap, tasty, and last forever. If thousands of college students can survive on them, so can you. 7. Honey – Honey has an indefinite shelf life, and when I say indefinite, I mean it. Archaeologists found pots of honey in a 3000-year-old tomb and it was still edible! Honey is a great way to sweeten up your meals and drinks post-disaster, and it’s very good for you. I eat a tablespoon anytime I start coughing and it seems to work better than Robitussin. 8. Cocoa Powder – Cocoa powder can last 30 or more years if stored properly, allowing you to enjoy a nice, warm cup of hot chocolate at any point after the SHTF. It’s especially great to have in winter months or if you have children. 9. Popcorn – My wife would be furious if we ever ran out of popcorn, so we have quite a bit of it on hand. Note that we’re not talking about the microwavable popcorn. Instead, stock up on the kind of popcorn kernels that you have to pop on the stove or over an open flame. They last forever and make for a tasty snack. 10. Jello – Jello powder has an indefinite shelf life. While Jello certainly isn’t the healthiest survival food, stocking up on powdered Jello packets will allow you to enjoy the occasional sweet treat when times get tough. This is another great one to stock up on if you have children. 11. Pudding Mixes – Pudding mixes are like Jello in every way from a survival standpoint (tasty, long-lasting, unhealthy) but in a different flavor. If you like it, you’ll be glad you have it. 12. Taco Seasoning – Turn ordinary ground beef into a tasty meal with a packet of taco seasoning. These pre-mixed spices last forever and can add a Tex-Mex kick to any ground meat (beef or not). I personally use it with canned chicken to make chicken tacos or chicken taco salad. 13. Yeast – Bread won’t last long post-disaster, but the ability to make bread will enable you to keep it on the table long after every loaf in the supermarket is gone. But to make bread, yeast is one of the things you will need to have on hand. 14. Powdered Milk – We all know ordinary milk doesn’t last long. To enjoy milk after a disaster (or at least some version of it) you will want to either secure a milk cow or stock up on dried milk, which has a shelf life of 20+ years when stored properly. For most people, the latter option is going to be far more convenient. 15. Powdered Eggs – Same story, different food. To keep enjoying eggs after a disaster, you may have to make the switch to the powdered variety. Granted, most powdered eggs don’t taste very good, so you might want to try getting used to them before they become the only option. They’re worth it, though, for all the nutritional benefits. 16. Instant Coffee – Easy to make and energizing, instant coffee has a shelf life of 30+ years, allowing you to continue enjoying a steaming cup of Joe in the morning come what may. If you hate the taste, here are a few other ways to make coffee. 17. Protein Bars – These aren’t just for bodybuilders. Protein bars are great for preppers, as well, providing a quick boost of a nutrition that is often in short supply during disaster scenarios. 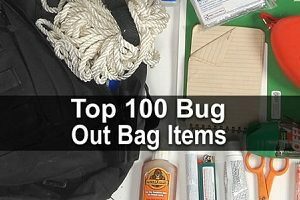 They’re also one of many great foods for your bug out bag. Just be warned that the kind with chocolate are liable to melt. 18. Canned Tuna – Enjoying meat long after a disaster means either hunting/fishing for it yourself or eating it out of a can. Canned tuna is a great place to start if you opt for the latter option, as it is affordable and has a decent shelf life. Be sure to get the kind that comes in oil, not water, as it has more calories. 19. Tang – Tang allows you to turn ordinary water into orange juice (sort of), and it was even used by NASA when they flew astronauts to the moon. Regardless of whether or not you find Tang to be a good substitute for orange juice taste-wise, it is full of great nutrients such as Calcium and Vitamin C.
20. Kool-Aid – Kool-Aid is another powdered water enhancer that lasts for years. Though it’s not nearly as nutritious as Tang, you may find the flavor to be a little more appealing, at least for special occasions. 21. Raisins – Just a cup full of raisins is equal to a full serving of fresh fruit in terms of nutrients. These dried grapes are full of protein, fiber, iron, potassium, Vitamin C, and antioxidants. Raisins can be used as an addition to other dishes or eaten by themselves for a healthy snack. For even more variety, consider stocking up on a number of dried fruits such as dried bananas, strawberries, plums, and more. 22. Maple Syrup – Maple syrup has an indefinite shelf life, meaning that if you are able to figure out a way to make pancakes after SHTF then you will have the perfect topping for them. Personally, I can’t imagine eating pancakes without it. 23. Pancake Mix – Speaking of ways to make pancakes post-disaster, pancake mix is affordable and easy to store. It only has a shelf life of about a year, though, meaning that you’ll have to replace your supply every year, which may be more trouble than it is worth. 24. Canning and Pickling Salt – Most everyone remembers to add iodized salt to their stockpile, but did you know that you can’t use regular iodized salt for canning and pickling? Instead, you will want to ensure that you have canning and pickling salt at your disposal. 25. Garbanzo Beans – Garbanzo beans – also known as chickpeas – are high in protein, flavorful, affordable, and when purchased dry, they have a shelf life of 30+ years. While dry pinto beans are a staple among preppers, garbanzo beans are often overlooked. Given their flavor and nutritious value though, this shouldn’t be the case. 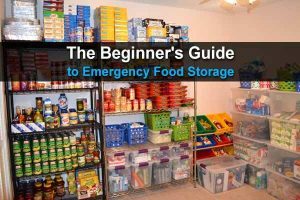 Like I said, the majority of preppers probably already have most of the foods on this list–and I’m sure I’ll get a few comments to that effect–but my hope is that you at least saw one or two foods you either forgot to buy or hadn’t yet considered. Food fatigue is very real, so when the SHTF, you’ll want a wide variety of things to eat for both your physical and psychological health. Some of the things that most people forget are very common. Make sure you stock pile toilet paper and other toiletries. Also couple gallons of bleach. And make sure you’ve got things for the kiddos lots of mac & cheese things of this nature. And seasonings flour sugar salt Will be big commodities. Greetings from Space City USA, Houston, TX. I’m commenting regarding #19, Tang orange drink. While it was marketed as being used by the astronauts, it was only used twice during Gemini missions in an effort to make the water taste better and rumoured to be intensely disliked and never used again but that didn’t stop General Foods from using it as part of their marketing to help sell the poorly selling product. I prefer granulated bouillon to Bouillon Cubes. I have chicken, beef, vegetable and tomato in stock.I have pancake mix in storage, but I can also make my own pancake mix as well as biscuit mix. I dehydrate and can meats,beans,veggies and jellies and jams. Learn to be self sufficient and you will never go hungry. Greetings from Blighty, instead of replying to one particular comment regarding water I figured I’d write a general response, I live in a coastal city on the north east coast of England, it has a population of over 250,000 people, in fact the street i live on has over 1000 people currently residing in it. Anyway my private water supplies come from rain harvesting (100 gallons at the moment) and a very shallow 20′ bore hole lined with pvc pipe that penetrates 3 layers of clay into sand/chalk, now the bore hole was done secretly by myself and the water is of course slightly saline but i regularly use a solar still intended to be used from a life boat to make fresh water. At my “hunting camp” i lease from a farmer i have a larger rain harvest set up and also another similar bore hole, at my camp i use a paupers berkey water filter (25ltr buckets and heavy metal filter candles) to treat ground water from the bore hole, no pesticides or other impurities in it. Just a couple of comments to add to the diversity of your list. The popcorn can be ground for corn meal, which has many uses. Plus keeping it in kernel form till you use it keeps it fresh. For puddings, if you store corn starch you can make your own with the powdered milk, egg, and cocoa. And Kool aid! That wonderful junk food! It also works great to color and flavor cakes, cookies, jello, fruit sauces, anything you can imagine. Wait a minute! This is an URBAN Survival Site, right? Where are folks going to get all of the water that most of the items on your list will need to hydrate for use? Items 1, 2, 3, 6, 8, 10, 11, 15, 16, 19, 20, 23, & 25 all need a generous quantity of water to be used. That’s 13 out of 25 (not to mention having water to wash #9 down with) items needing water. How many urban areas have a babbling brook running near the apartment complex that is a fresh water source? I say stock up on commercially canned food that is already precooked and has water and salt in it to help hydrate yourself. 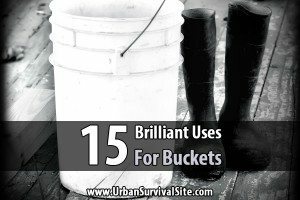 In a SHTF situation, the juice and salt in those cans will be what your body needs when you start running low on fresh water. You’ll probably even use your finger to get every last drop of juice out of that can! I live in Montreal, Canada, I have a nearly infinite source of fresh water if I walk 5 minutes, the St-lawrence river. I can attest to #15, the dried eggs. 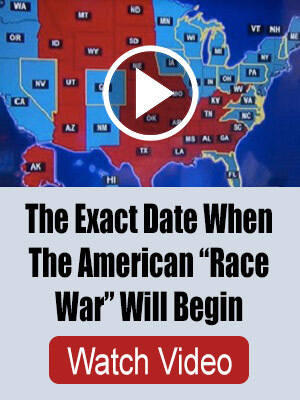 We do that every year. In the summer, even our small flock of chickens lay more eggs than we can eat. We dehydrate a few dozen’s worth to save for the leaner times of winter when they’re not laying much of anything. I won’t go into the whole process here, but we dehydrate raw eggs so that when reconstituted, they’ll “gel” when cooked. They make passable scrambled eggs, that are only somewhat discernable as reconstituted. In cooking (like french toast, or baking) there’s no difference. We also lay up many quarts of maple syrup that we get from our half-dozen maples. It’s not cost-effective to make your own syrup, but it’s great experience if it becomes necessary. Sweet is harder to come by in nature. I have all but a couple of these. For the record you can us regular salt for canning but it can make the liquid cloudy. It will not hurt the food in the least. There are also many types of bread that can be made without yeast as well as making your own yeast as in sourdough bread.